The second World War ended 73 years ago, but new stories about courage and resilience continue to come out of that dark chapter of history. 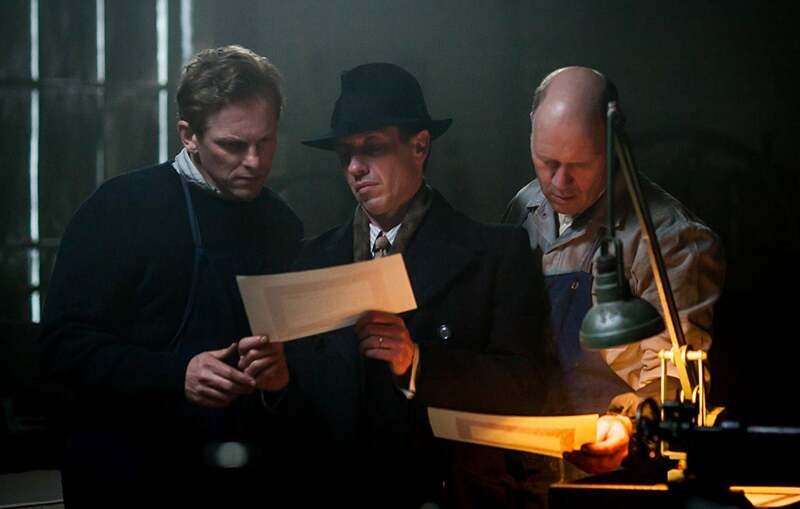 Witness the Dutch film, The Resistance Banker – the true story of the remarkable Van Hall brothers. As smooth-operating figures in the banking world, these young white-collar workers single-handedly managed to siphon off millions of guilders to finance the resistance movement in Nazi-occupied Holland. Operating in the shadows for years, they kept up their formal, “neutral appearance” to the occupying forces. Meanwhile, they used complex financial tricks to bankroll Dutch freedom fighters – without the Germans ever noticing. Its combination of historical truth, thriller elements, and a high production value made it a natural submission for the Golden Globes and the Academy Awards for the Netherlands. Holland has a small but well-regarded history of World War II movies. Black Book by director Paul Verhoeven and Süsskind by Rudolf van den Berg are two recent examples. The Resistance Banker fits into this genre squarely, critics have noted, more so since it uncovers new stories and answers new questions about the war. This movie asks and answers the questions clearly, using “an undeniable, epic tale of heroism”, the Volkskrant noted.